The cunning fox was out hunting at night in the moonlight. He came to farmer Brown’s home paddock, and snuck down to the henhouse. The chickens were all asleep in the roost. 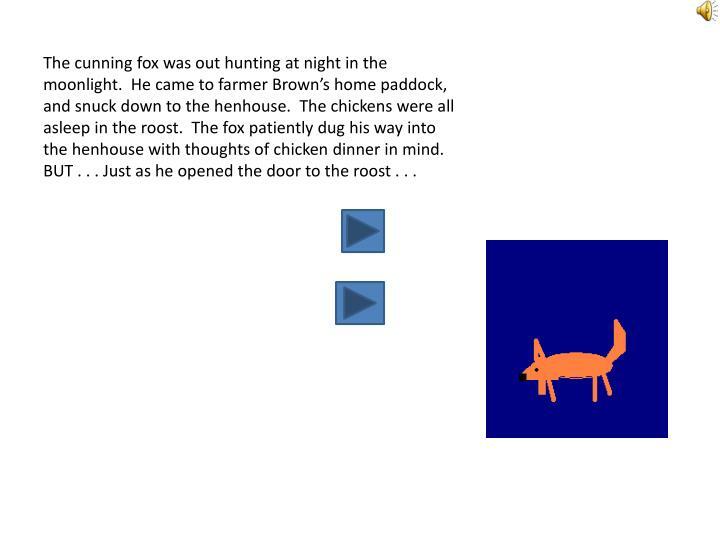 The fox patiently dug his way into the henhouse with thoughts of chicken dinner in mind. BUT . . . Just as he opened the door to the roost . . . The light went on in the farm kitchen. The back door burst open and Farmer Brown came running down the paddock. 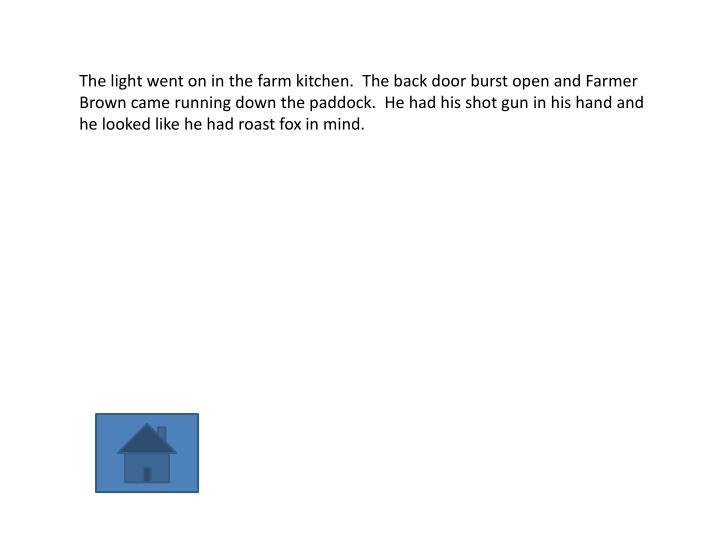 He had his shot gun in his hand and he looked like he had roast fox in mind. 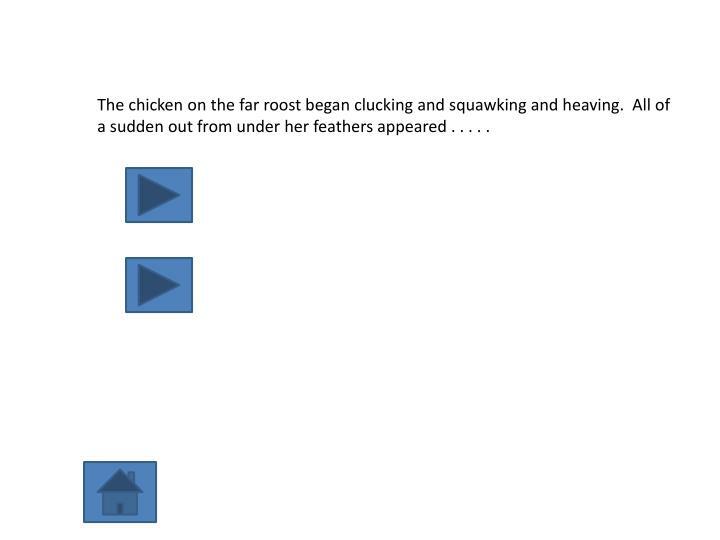 The chicken on the far roost began clucking and squawking and heaving. All of a sudden out from under her feathers appeared . . . . .
a golden egg. The egg cracked open and a trail of smoke shot out from the shell. Out of the smoke appeared a genie with an angry look on his face. 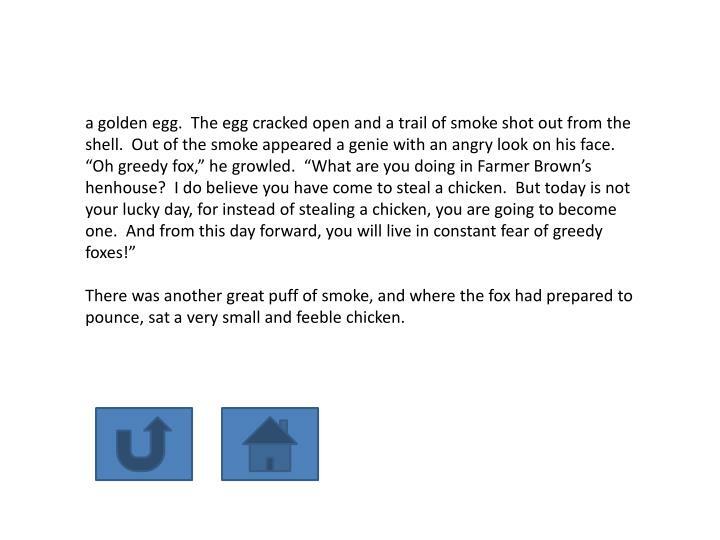 There was another great puff of smoke, and where the fox had prepared to pounce, sat a very small and feeble chicken. a golden egg. The egg cracked open and a trail of smoke shot out from the shell. Out of the smoke appeared a genie. 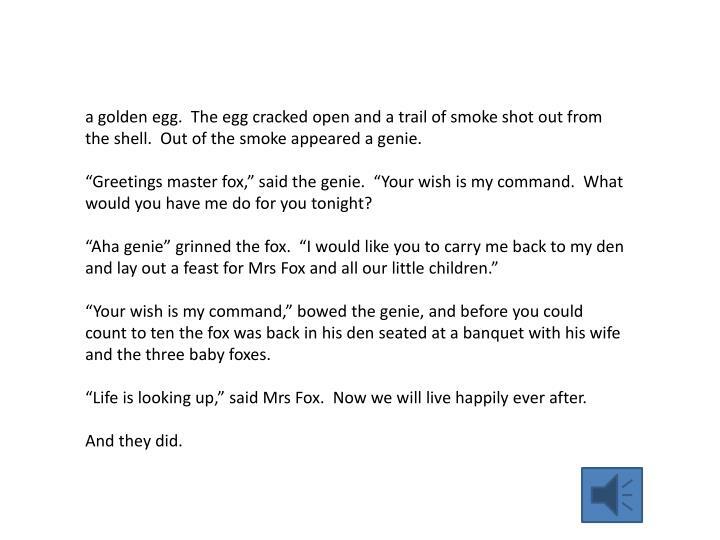 “Greetings master fox,” said the genie. “Your wish is my command. What would you have me do for you tonight? “Your wish is my command,” bowed the genie, and before you could count to ten the fox was back in his den seated at a banquet with his wife and the three baby foxes. “Life is looking up,” said Mrs Fox. Now we will live happily ever after.